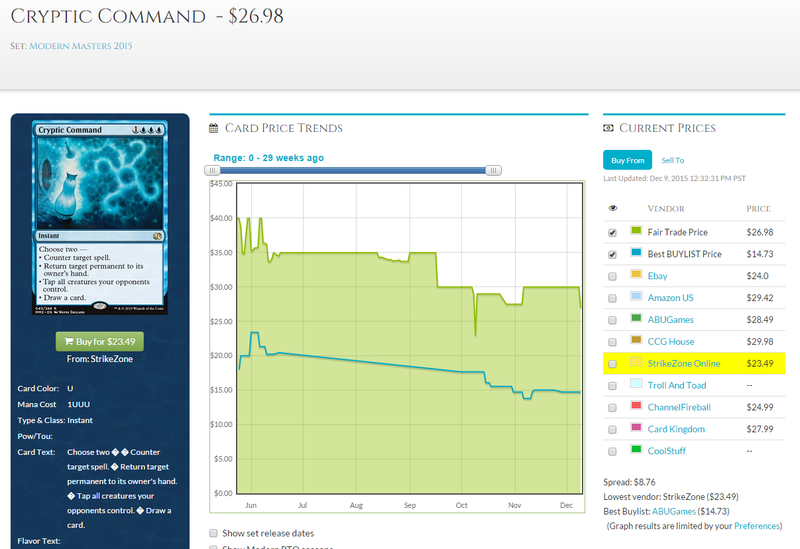 I made the mistake of purchasing 8 Commander 2013 cases and 8 Duel deck anthology. I still have hope for the duel decks but have been thinking about busting both. Would you recommend holding, selling whole or busting the duel deck. I’d crack them and just try to move the singles when you can. Really don’t think anyone is going to be looking for these down the road. Wait a moment. It takes time for sealed to rise. 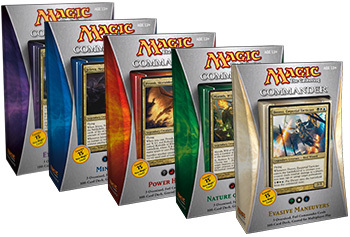 We still couldn’t conclude that RTR sealed products wouldn’t go up. Need to wait till June 2016 so that we can conclude that the 3 year guaranteed return from boxes aren’t real any more. 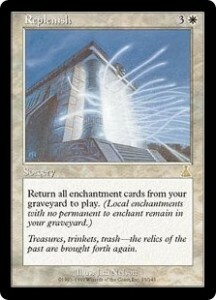 I expect some cards like Decay, Revelation, some Shocks, and VOR to increase in price in the next 6 months. 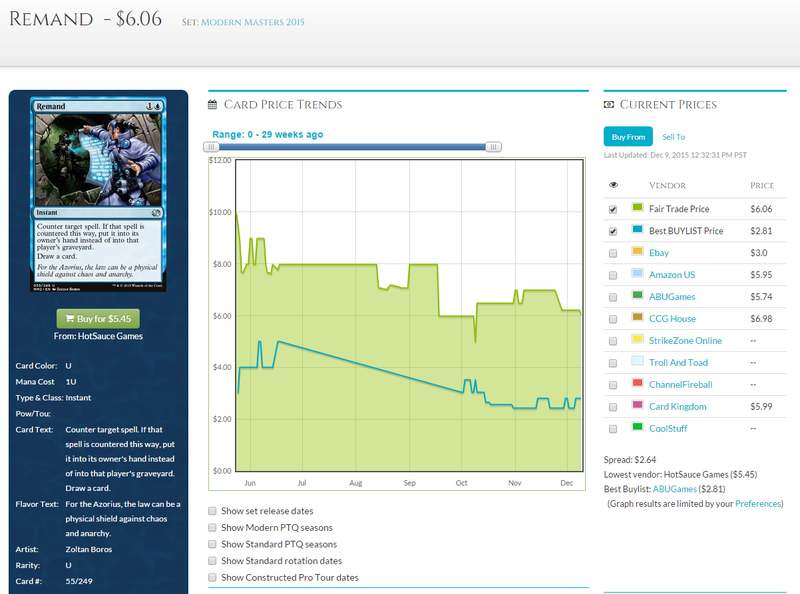 If they do so, the rise of price for sealed will happen as well even not as high as that of singles. Return to Ravnica was released in the fall of 2012. It’s winter of 2015, more than 3 years. Do you really expect booster boxes to increase by 50-60% in the next six months? I’d say you lucked out on the C14 ones (unless you were looking to play with them, that is). If you don’t plan on playing with them, I’d also crack the C13; there’s zero evidence that these will go up at all in the next few years. I’ve strongly debated going in deep on RtR boxes as there’s some Xmas clearance sales and prices like the ones you have posted there for $80 a box with free shipping. With all the value and FOIL value of these boxes, plus it was a good set to draft, it truly makes no sense for these boxes to be half the price of Avacyn Restored boxes and that was the previous set, and RtR is a third or a quarter the price of Innistrad boxes?!?!? The reason I haven’t gone deep on RtR is something has to be wrong…I don’t know if distributors and stores hoarded these boxes thinking they would go up and are now stuck with them. 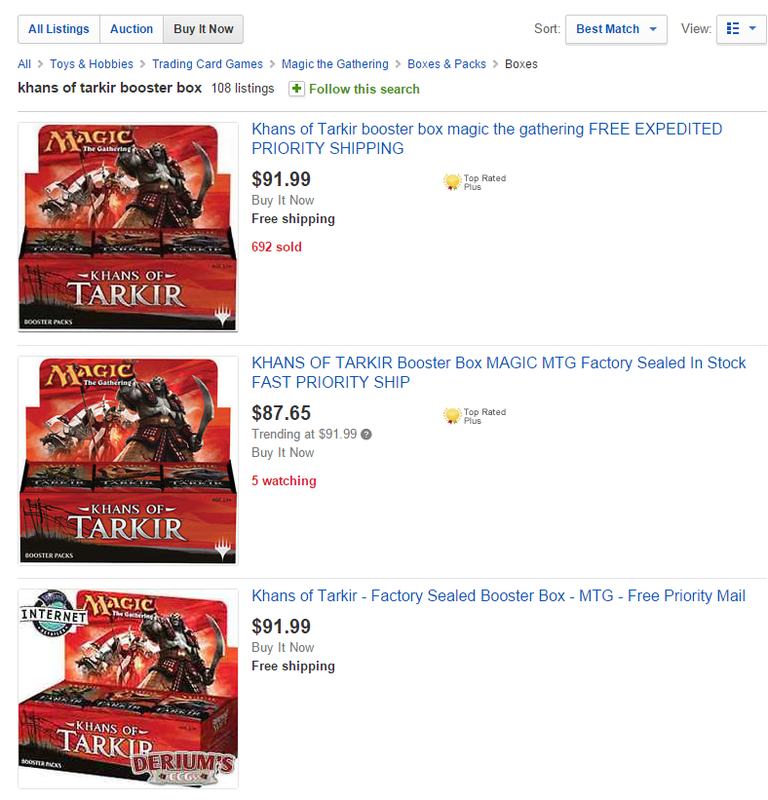 I don’t know if Wizards had a large late release of boxes to fill supply but people already moved on to new Magic sets…just something seems wrong. One thing I would like to say about sealed product: I was buying FTV Realms (lands) off of ebay over the summer, Card Kingdom was buying the individual cards for a few dollars more than what I bought the complete boxed set for and with their 30% credit I would have gained about 40% IMMEDIATELY on my purchases. 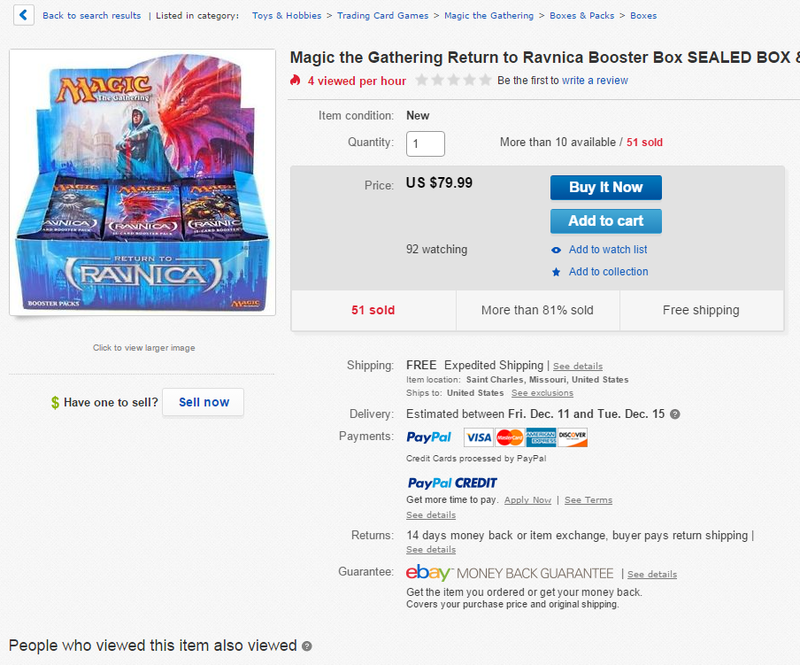 I decided to sit on the boxes because I got a bunch for $80-90 and then new FTV Realms sets started listing for $120, but there was immediate profit to be made after a small amount of research. In regards to cracking sealed product there might be enough of a market for a few singles to recoup loses. The numbers were close for FTV 20 single card buys at Card Kingdom as well (so with 30% credit you’d make at least 30% on the purchase of the box set…this was a few months ago at least). Getting even money isn’t a winning strategy, but if people are worried about losing more do some research and see if cracking sealed product to sell/trade individual cards might be worth it? If you can flip immediately for profit by cracking and reselling to a store, then that’s a different story. For a long term investment perspective though, I really don’t want to touch RTR. If you want to buy a box or two at $80 so you can crack it with your friends later for drafting, that’s different. I’m personally just staying away from sealed product unless its’ really unique or niche at this point.